they are the ones whom Allah has guided, and those with understanding. Shiatu Ali -provide you with everything related to Shia practice and knowledge. We ask Allah for guidance and enlightenment in our search for the truth. `Shi’a Islam is the only path that is clear, the only path that speaks truth. A Dream of an Islamic Center where all Muslims regardless of background, culture, race, ethnicity or creed can be traced back to the early Muslims in Denmark. 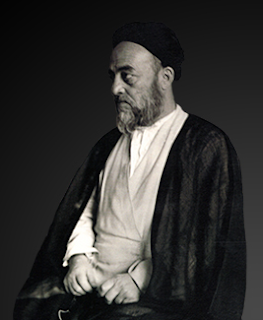 This great Dream was realized by 1994 through selfless hard work & endless support of Hojjat ul Islam Haj Seyyed Mohammad Mehdi Khademi Son of Late Grand Ayatollah Haj Seyyed Hussein Khademi Esfahani ( RA ) by unification of three Islamic centers of Mohammadiah, Al Mustafa and Lebanese Islamic centers and Mosques into one Imam Ali (AS) Islamic Center and Mosque. Hojjat ul Islam Haj Seyyed Khademi’s hard selfless work was rewarded with special aide support of Grand Islamic Authorities and local people, which resulted in a 3000 m2 building space right off of Norrebro. Our new Mosque located at Vibevej 27, Greater Copenhagen is now fully functional and at your service since 2014. On the 10th day of Muharram, year 61 AH, a battle took place. A battle that changed the course of humanity…It was a hot day in Naynava, under the scorching sun. The river Euphrates, almost overflowing with water, was closed to the righteous, by the army of evil. Children as young as 6 months had not had a single drop of water for three days. Mothers watched the apples of their eyes wither right before them. There were heads, hands and body parts scattered in the battlefield. The sound of the swords clinking echoed through the plains of Karbala. There was bloodshed everywhere. All of this because a great man, fully aware of the consequences, had risen against tyranny and oppression. His message was one of freedom, equality and peace. His slogan “Death with dignity is better than a life of humiliation” His fate; to be beheaded right before the eyes of his family – sister, daughter, wife, and son. This great man was Hussain, the grandson of Muhammad and the son of Ali. @mohebbanyouth volunteers at #the10thday stall in the Manchester Muharram Procession. Creating awareness, spreading the message of Imam Hussain and selling #the10thday merchandise to raise money for the campaign! I am a ahia Muslim of port Elizabeth south Africa,I would like to hear of shia Muslim brothers overseas? Aslamu alaikum ya brothers in islam. I love you Ahlulbaity! I m glad 2 b 1 of friends/bro.muslim. Welcome please do use my section new to Islam,there you can find alot of information and do ask if you need more help.